See the video montage of the Presidents set to music. George Washington fought in and gained fame from the French and Indian War. 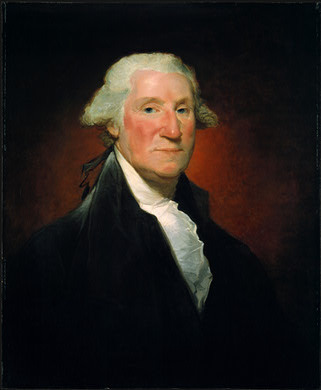 As a military general, Washington was commander-in-chief of the Continental Army in the American Revolution. He led the young 13 British colonies in America to victory over Great Britain, establishing the new United States as an independent nation. As the very first, Washington molded the office of President setting the standard for all other presidents. He quickly established a strong relationship with former mother country, Great Britain. He led federal troops against farmers during the Whiskey Rebellion, demonstrating the power of the federal government to levy and collect taxes. Was reinstated as a military general in command of the army, primarily to instill fear in other nations as Washington's reputation around the world was fearsomely, yet reverently, respected. Spent his last years at his farm, Mt. Vernon, Virginia, before dying in 1799. Early in his career as a lawyer, he defended, with much success, British soldiers accused of the Boston Massacre. Adams was so fierce an advocate for independence from Great Britain in his speeches, writings, and actions, historians nicknamed him Colossus of Independence. Sat on the committee that drafted the Declaration of Independence (Early Summer 1776). Delegate to First and Second Continental Congress (1st 9/5/1774 � 10/26/1774; 2nd 5/10/1775 � 6/27/1778). U.S. Ambassador to The Netherlands (4/19/1782 � 3/30/1788). U.S. Ambassador to Great Britain (41/1785 � 3/30/1788)(overlap of both ambassadorial positions). First Vice President of the United States (4/21/1789 - March 4, 1797. President Adams signed the Alien and Sedition Acts curtailing civil liberties. Peacefully resolved the conflict with France known as the Quasi War (1798-1800). Successfully built up the U.S. Navy to become a major naval power. Retired to to his farm Peacefield near Quincy (Braintree), Massachusetts. 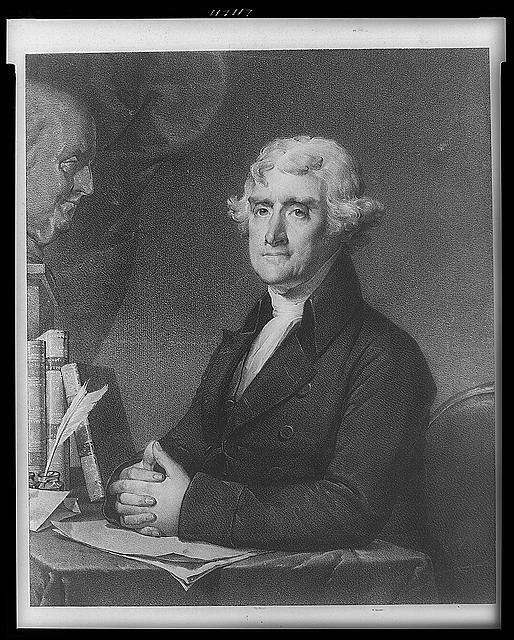 Began an historic 14 year correspondence (158 letters) with his successor Thomas Jefferson. Famously so, both friends, John Adams and Thomas Jefferson, died the same day - July 4, 1826.
both died on the 50th anniverary of the signing of the Declaration of Independence. Principal author of the Declaration of Independence (Early Summer 1776). Second Vice President of the United States (3/4/1797 to 3/4/1801). Secretary of State (3/22/1790 � 12/31/1793). United States Ambassador to France (5/17/1785 � 9/26/1789). Delegate to Congress of the Confederation from Virginia (Congress under Articles of Confederation)(11/1/1783 � 5/1784). 2nd Governor of Virginia (6/1/1779 � 6/3/1781). Author of the Virginia Statute for Religious Freedom (1779, 1786). Delegate to Second Continental Congress (6/20/1775 � 9/26/1776). Founder (and Father) of the University of Virginia. Lasting legacy is doubling size of the nation via the Louisiana Purchase (territory bought from France)(1803). Sent Lewis and Clark to explore the new territory bought from France (1804-1806). Supported Embargo Act of 1807, helping to precipitate the War of 1812 with Great Britain. Proposed (Congress passed) legislation ending the importation of African slaves, thus ending the trans-Atlantic slave trade (1807). Saw the defeat of Mediterranean Sea pirates in the First Barbary War (1801 - 1805). Retired to his plantation home, Monticello, in Virginia. Sold his 6,487 books to create the new Library of Congress (1815). 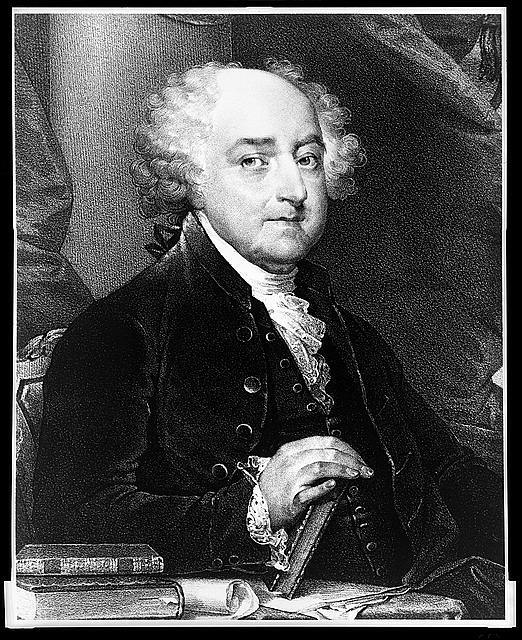 Established famous correspondence with former President and rival John Adams until their death (1812-1826). Continued to write, draw, design, and invent a multitude of things (Lifetime). Founded and designed the University of Virginia (1819). Principal author of the Constitution of the United States (1787). Along with Alexander Hamilton and John Jay, wrote the Federalist Papers defending the U.S. Constitution (1788). 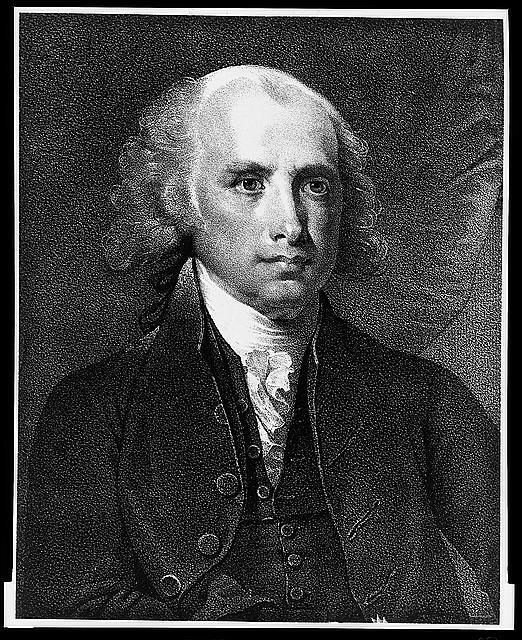 Author of the Bill of Rights (1789) (First ten amendments to the U.S. Constitution). Member of the U.S. House of Representatives (1789-1797). Led United States in war against Great Britain in the War of 1812. Reluctantly allowed re-charter of the Bank of the United States. Accepted taxation system based on tariffs. Led U.S. to victory over pirate states with the Second Barbary War. This was the beginning of the end of pirates along the North African coast. Madison's presidency is the only one to have two Vice Presidents die in office: George Clinton and Elbridge Gerry. Appointed second Rector (President) of the University of Virginia. (1826-1836). Last of the Founding Fathers to die: June 28, 1836. Last President deemed a war hero of the American Revolution. Served in the Virginia House of Delegates (1782). Served in the Continental Congress (1783-1786). U.S. 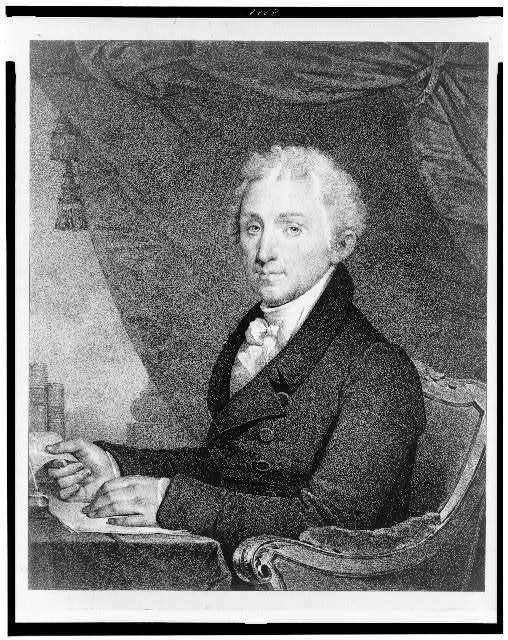 Senator from Virginia (1790-1794). U.S. Ambassador to France (1794-1796). 12th Governor of Virginia (1799-1802). U.S. Ambassador to Great Britain (1803-1808). 17th Governor of Virginia (1811). Served as president during Era of Good Feelings. Dealt with Financial Panic of 1819. Vetoed Cumberland Road bill disallowing federal funds for road improvements, citing it was State's jurisdiction. Saw passage of controversial Missouri Compromise of 1820, allowing slavery in Missouri but not north of it. Announced the Monroe Doctrine warning nations outside of the American hemisphere from interference in continental matters. Spent his remaining years in relative quiet. Monroe left office under financial constraint and tried to reverse his poor financial situation. Became the third and last president to die on the Fourth of July (1831).